High contrast for images. No comparison for quality. 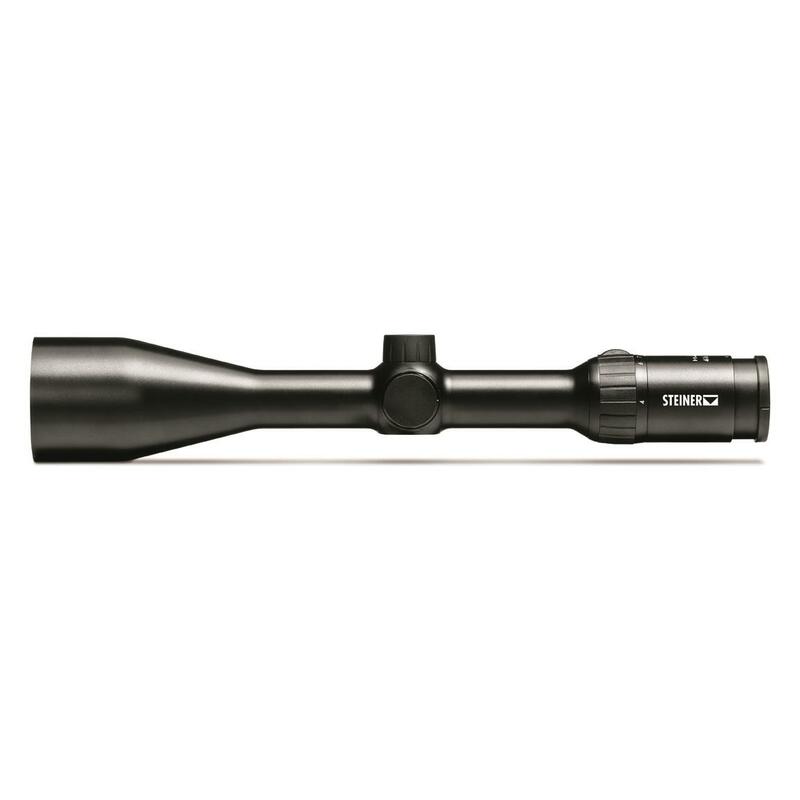 Delivering clarity at critical times makes the Steiner H4Xi 3-12x56mm Rifle Scope your best choice for all-around hunting use. Proprietary lens coatings creates high light transmission for incredible contrast to squeeze every bit of light from early morning to late in the day. 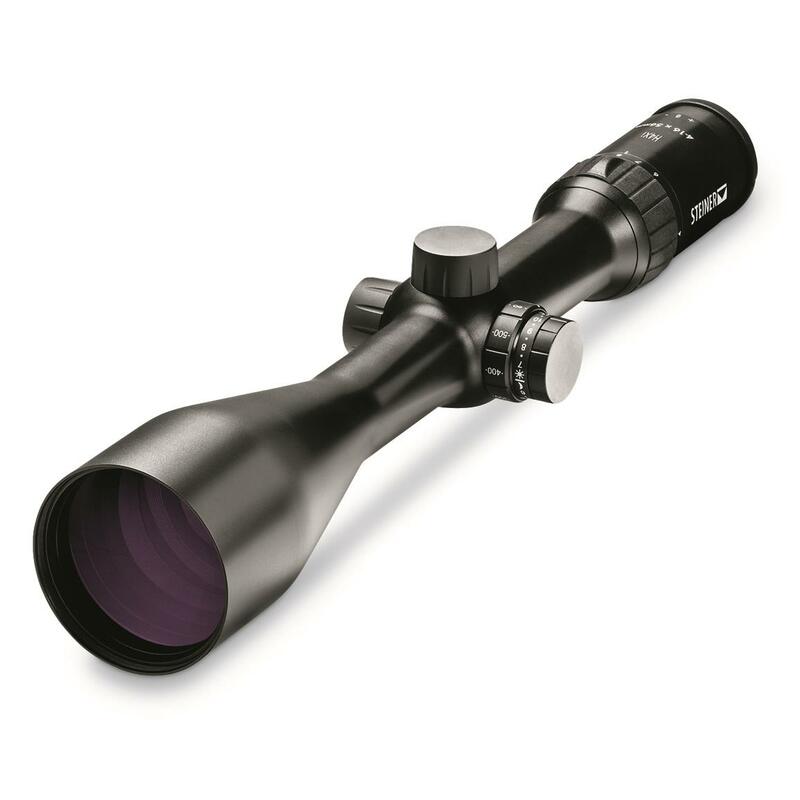 4x zoom gives you a maximum range and eliminates any tunneling effect to deliver the best image possible to your eye. High-grade 30mm aluminum tube has the strength and stability to withstand repeated high caliber rounds. 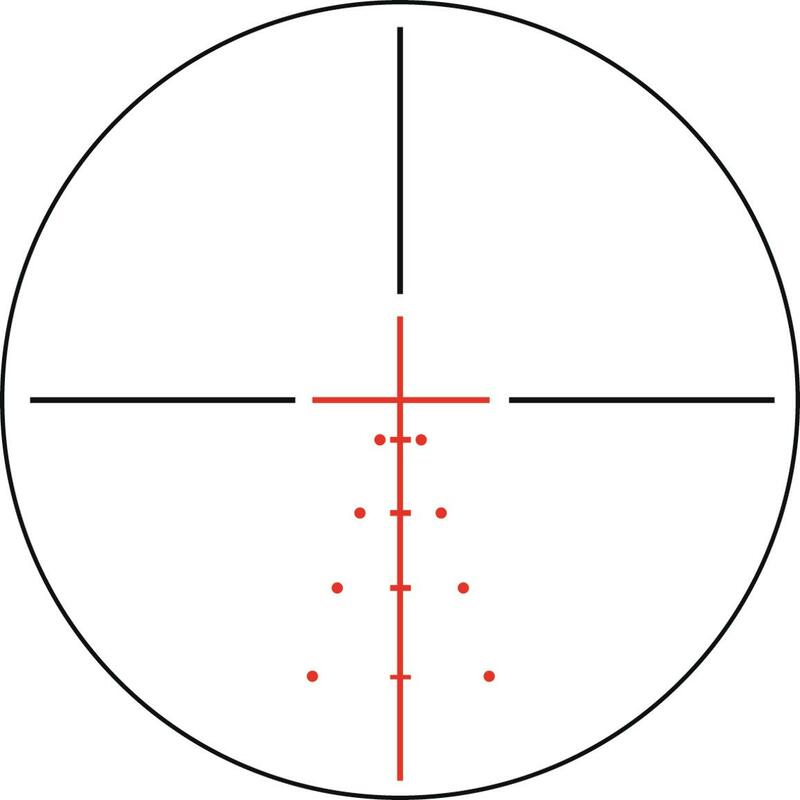 Capped, low profile turrets adjust the illuminated Plex S1 reticle for more precise aiming. Elevation range @ 100m: 33"
Windage range @ 100m: 33"
Parallax Setting: Fixed @ 100 yds.